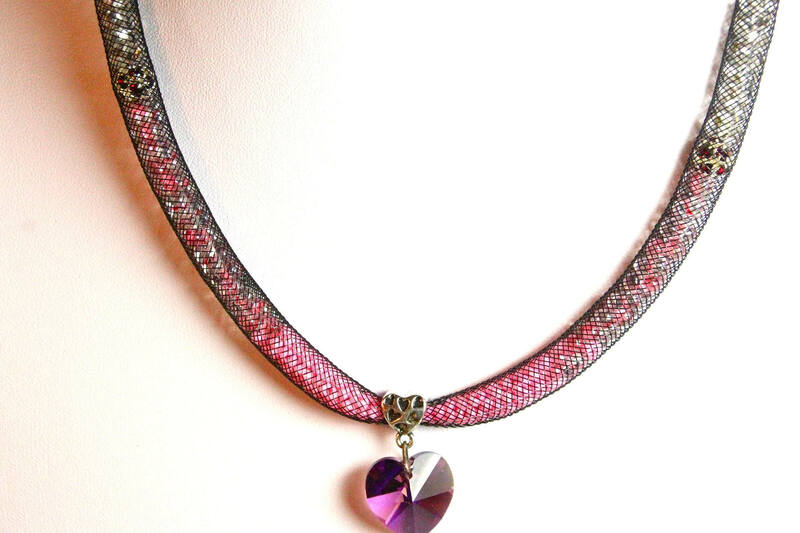 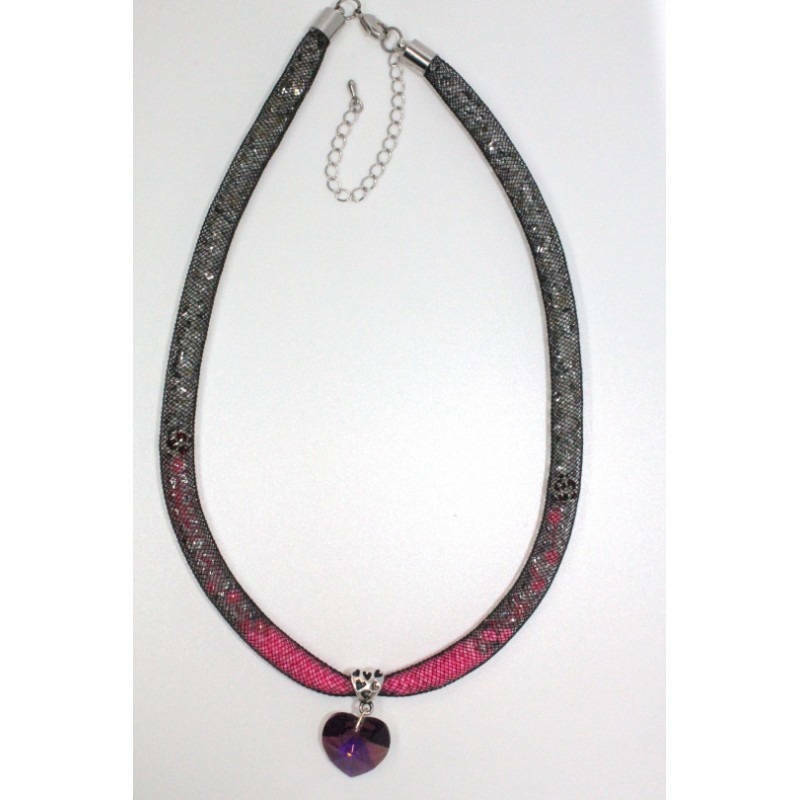 This necklace consists of a black nylon NET filled with a gradient of Farfalle (high quality Czech glass beads) of three colors: neon pink, pink and silver and silver glow and two Fuchsia Strass filigreed beads. 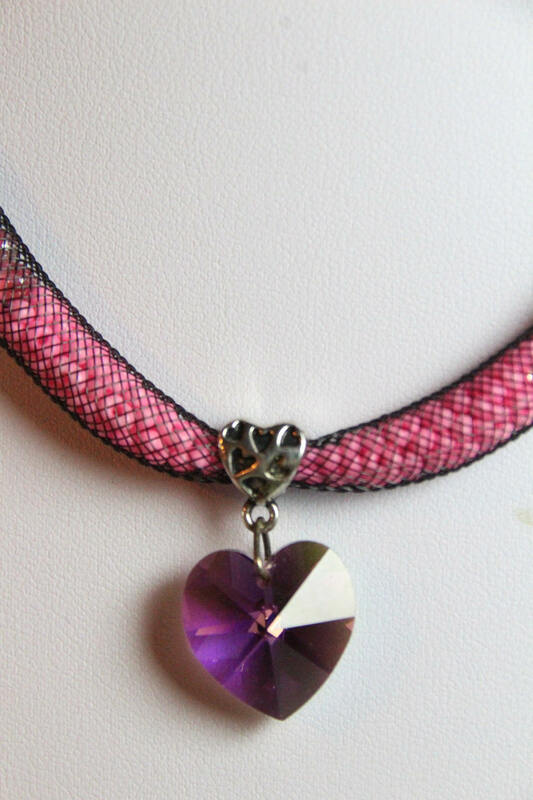 It comes with a pretty heart SWAROVSKI AB (high gloss) embellished with a "heart bail" Fuchsia finely engraved. 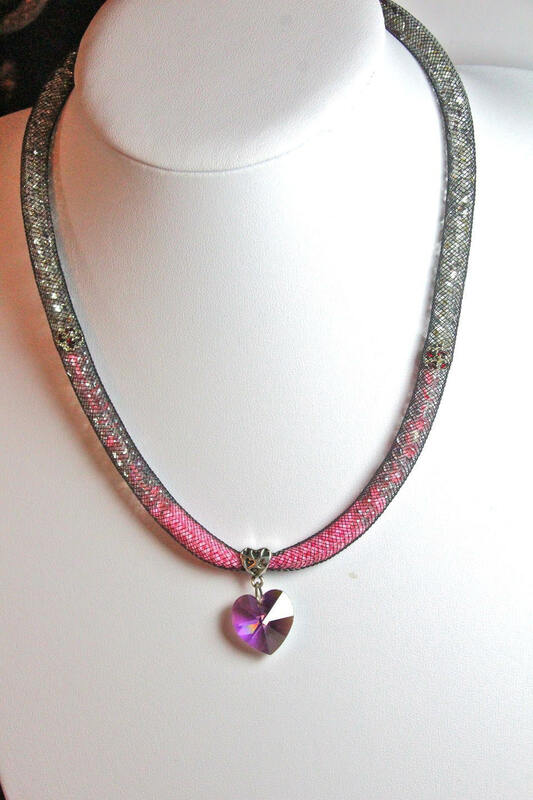 Thanks to its originality and nobility of its components, this gem is a unique piece offered by jewelry box for a very attractive price.